A more traditional tourist destination in China, the town of Ciqikou offers the culture and lifestyle of China without the modern influences found in many major Chinese cities and tourist destinations in China. Ciqikou, which translates to "Porcelain Port," is located in the Chongqing Municipality and covers approximately .5 square miles of land. Ciqikou is also very close to the west bank of Jialing River. The town was named "Ciqikou" due to its heavy influences from porcelain production during the Ming and Qing Dynasties. Ciqikou is host to three major mountain ranges (Mount Jingbi, Mount Fenghuang and Mount Ma'an) and is believed by local residents to have nearly perfect Feng shui, making it a perfect tourist destination in China. Ciqikou has been less affected by modern influences in culture, design, technology, and even artistic approach. Ciqikou is actually traditional in so many ways that the State Council began listing the town as a protected cultural site in 1998. 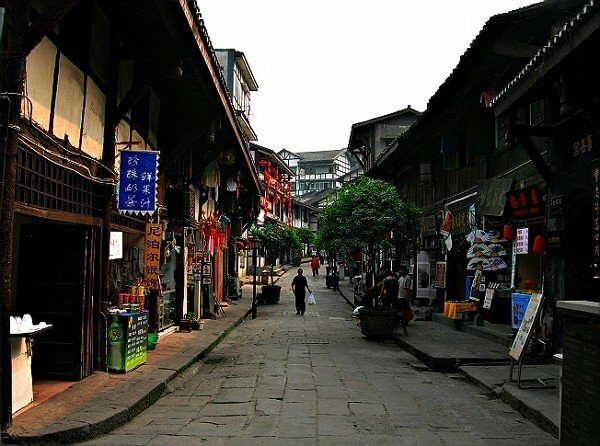 If you are looking for a tourist destination in China that will show you what Chongqing was like in the past, visit the town of Ciqikou. The tea bars, artist studios, and Shu embroidery workshops in Ciqikou are very popular tourist attractions in China and are Ciqikou's three most popular tourist attractions. In Ciqikou alone there are over 100 tea bars that all boast their very own unique style and cultural influences. The beauty of Ciqikou attracts artists from all over the world to live and work on their craft. Tourists and locals alike benefit from these artistic professionals by enjoying an abundant variety of artwork to choose from in Ciqikou. The Shu embroidery workshops in Ciqikou will also impress you as the local women showcase their incredible talents. The local food in Ciqikou could be considered a tourist attraction in China all on its own. Ciqikou features many traditional Chinese foods, including their spicy hotpot dishes. 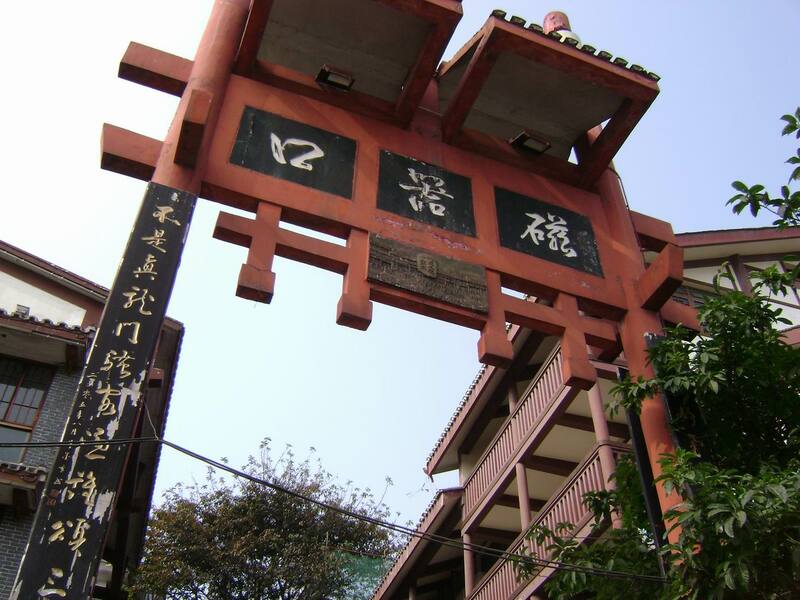 Ciqikou is known for local dishes such as Qian Zhang Pi, Mao Xue Wang, and JiaoYan Huang Sheng. 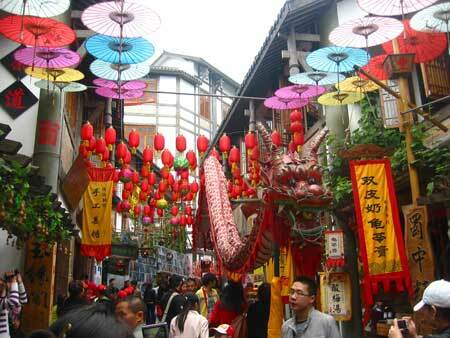 Ciqikou is home to many popular tourists destinations in China that show the true traditions and culture of the area. In Ciqikou, you can visit the Compound of Zhong's where you can explore different architectural techniques and styles of China. The Bao Lun Buddhist Temple, a 600 year old temple built during the Ming Dynasty, was constructed without using a single nail and showcases more of China's architectural style and history of Ciqikou. Ciqikou is full of interesting, unique, and famous Chinese tourist destinations.